Sistema progettato ad essere utilizzato in applicazioni militari. 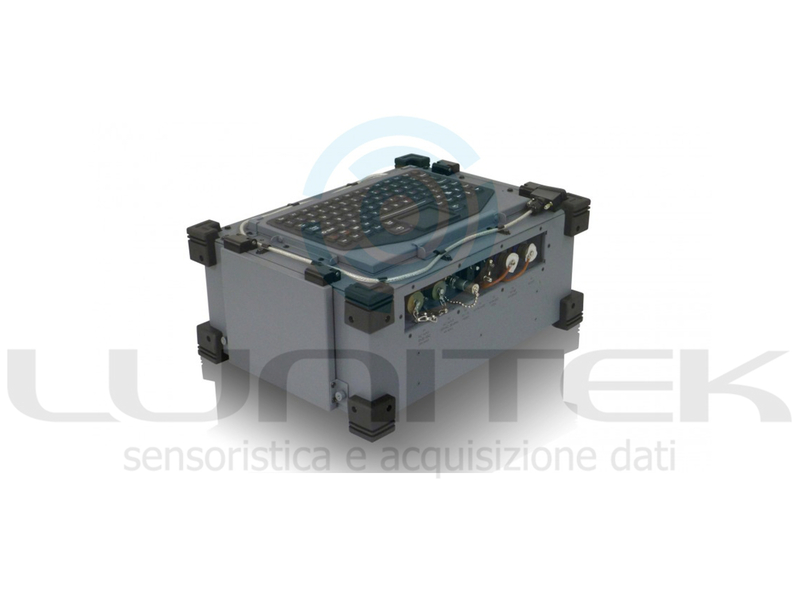 il MilPAC integra coonnettori Mil.Spec filtri e tastiera impermeabile progettato per specificatamente a funzionare in ambienti molto ostili. 0°F: Meets MIL-STD-810G Method 502.5 procedure II. 120°F: Meets MIL-STD-810G Method 501.5 procedure II. -50ºF: Meets MIL-STD-810G Method 502.5 procedure I. 160ºF: Meets MIL-STD-810G Method 501.5 Procedure I. 48 inches: Meets MIL-STD-810G Method 516.6 Procedure IV. 4 inches: Meets MIL-STD-810G Method 516.6 Procedure VI. 40 minute exposure: Meets MIL-STD-810G Method 514.6 Procedure II. 1.8" per hour blowing at 20mph for 30 minutes per side:Meets MIL-STD-810G Method 506.5 Procedure I. 73 +/- 4 F and 50 +/- 5 percent Relative Humidity RH:Meets MIL-STD-810G Method 507.5. Operational altitude of 15 000ft for 8 hours:Meets MIL-STD-810G Method 500.5 Procedure II. Velocity of 20mph and concentration 10.6 g/m for 6 hours:Meets MIL-STD-810G Method 510.5 Procedure I. 280 l/m2/hr for 30 minutes per side:Meets MIL-STD-810G Method 506.5G Procedure III. Meets MIL-STD-461F RE102 Paragraph 5.17. Meets MIL-STD-461F RS103 Paragraph 5.20. Meets MIL-STD-461F CE 102 Paragraph 5.5. Meets MIL-STD-461F CS 101 Paragraph 5.7 CS 114Paragraph 5.13 CS 115 Paragraph 5.14 CS116 Paragraph 5.15.